Home » Ant Advice Blog » Do I need to Hire Pest Control? Ok – I was asked this question at least once a day when I was working as a pest control tech (neighbors) and I was told at least 10 times a day when I was selling pest control that they can do it themselves. So, what is the truth? I can speak freely now because I am no longer tied to a pest control company and I couldn’t care less if you tried to do it on my own. The answer is it depends. 1). Do it Yourself if you are a do-it-yourselfer and have the time: We rarely sold pest control contracts to people that were the do it yourself type. Spraying ants is not some technical trade. It is something that anyone can learn how to do with research and the proper tools. We sold pest control to people who were too busy to do it themselves, didn’t like working outside, just didn’t want to hassle with it, were fed up with trying to do it on their own, or were just plain too lazy to do it. 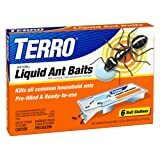 Given the proper research on killing ants and armed with the best ant killers you can do just as good of a job at getting rid of pests as pest control people do. (no offense to my pest control friends, but it is the truth). Now, if you have a technical job, such as out of control carpenter ants, than that is a job that I would not recommend you doing on your own. Pony up some money and get it done right before your house is torn down. 2). 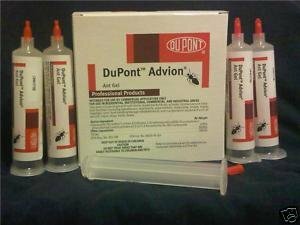 The Cheap DIY Homeowner: Hiring a pest control company on a contract is not that expensive, especially if you can get a contract where they come to spray only in the summer months and on an as needed basis. In my humble opinion, you don’t need your home sprayed every winter month, especially when there is snow on the ground. If you are looking at doing your own pest control, you will need to start with a good Sprayer that will run you about $80.00. Maintaining a good barrier around your home with proper baits and gels for the inside of your home will probably cost about $75.00 a year if you are doing it correctly. So you will pay on average $155.00 per year. Compare that with local pest control companies and see how much you are saving. You will probably save a couple hundred bucks a year. 3). Get a pest Control Tech for the tough problems: If you have termites, carpenter ants or out of control ant problems, my suggestion is to hire a pest control company to get your problem in control and than maintain after that on your own.